I wonder what people did 50 years ago, when people got missing. 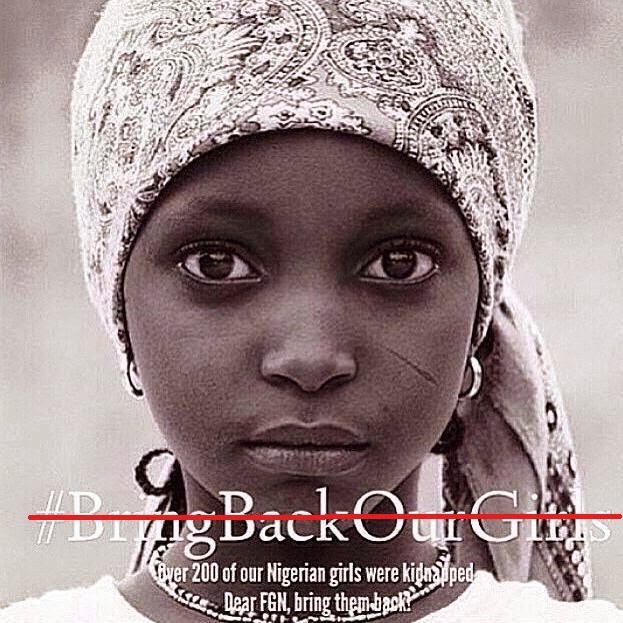 I wonder what we can do now to #GETBACKOURGIRLS. I think social media has made us delusional, detached and self-conceited without us meaning to be any of that. We say Boko Haram should #BRINGBACKOURGIRLS, but will they? Don’t we need to go #GETBACKOURGIRLS from wherever they may be, in whatever state they may be in? Are our political leaders only interested in wars that bring money? Cos this is over two hundred wars in one. Each one of the girls is worth our time, our money, our blood. Are our soldiers only interested in revolutions that will bring them political power? Cos this is over two hundred injustices in one. Each one of the girls is worth our armies, our money, our blood. I wonder what people did 200 years ago, when people got missing. I wonder if they would have imagined the pain and torture these little girls are suffering and maybe get on their feet and pour libations to the gods before they matched to the village chief and demanded that they #GETBACKOURGIRLS. I wonder if they would have tied their heads and arms and necks with red cloth because Boko Haram has taken our blood and we have to show Boko Haram, that we will get back our blood to where they belong, with us. I wonder if we could get up from behind our computers and ipads and phones and actually think about our precious girls and their families for a minute so we can decide that it is us who need to go #GETBACKOURGIRLS. Thank you and I hope we all start talking about what next we can do. Thank you. i respectfully disagree. It is the social media noise that has raised awareness about this. Besides, the message isn't targeted towards Boko Haram. Yes, the awareness social media has created on this issue can not be belittled and that is not what i attempted to do. To the contrary, I acknowledge it's a starting point and I am asking that we don't just end it there, because that will never be enough to bring back our girl. What I am saying is that, we need to direct the message clearly to our leaders and we must remind ourselves that it is us who need to take the action. We shouldn't wait for anybody to go #BringBackOurGirls, we have to demand actions that will actually get them back to us. I agree with William, take back the power instead of appealing to these inhuman soldiers to bring them back. Why should they? And you're right, instead of saying it ... Do it. So poignantly written and erudite.